It's A Dan's World: RANDOM WORK OF WOW: Where Walks The Rhino! RANDOM WORK OF WOW: Where Walks The Rhino! 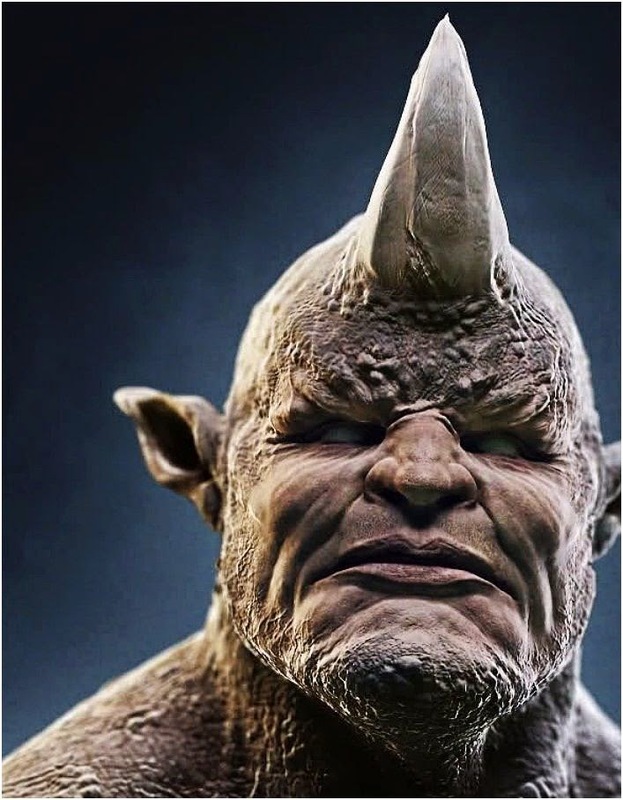 With Amazing Spider-Man 2 vastly underwhelming global audiences, and having already written a review on what I easily deem the best Rhino story in comics, I thought I would post a piece of art I feel is that epic's artistic equivalent - a.k.a. unbeatable. Now I know this is a head crop of the full figured art, but what I don't know is who is responsible - and it kills me every time I look at it! Rhino, like the Absorbing Man, is just one of those classic Marvel villains I've always had a soft spot for. And while the movie sadly walked away into a more manga-ish look for the 'every-hero's rogue', here this artist (whoever they be), shows there's nothing broke about the original costume to fix. What do you think? Do you know where it is from? Love this! That's how he should look like from now on. It's nice- but I prefer my Rhino in a more obvious suit. And NOT a mechanical one! That Rhino is FEARSOME! Very scary looking! i saw the new Spiderman last weekend i thought it was ok. the acting was good i liked the dude who played Harry Osborn he was from the movie Chronicle which i thought was great. but for some reason i also felt a bit underwhelmed with the movie i know part of it at least had to do with how the Electro character was handled. i think the director hammed it up too much the whole nerd to super villain transition and all the battle scenes between him and Spidey started becoming tedious after a while. the Harry Osborne to Green Goblin transition felt really rushed as well. but the movie had some good stuff going for it too like the much of the interplay between the characters and some nice touches here and there like Spidey being haunted by the promise he made to Gwen Stacy's father in the last movie. Cheers Karl - he's pretty intimidating huh? Thanks for the review Dave - you liked the first one too from memory didn't you? I decided to steer clear with the mechanical Rhino. As King says that just wasn't cricket. Still, it will be interesting to see how they go giving the Sinister Six their own film! And Venom. Here's hoping Black Cat finally swings in one of those too. I thought the first one was ok from an entertainment stand point but I didn't think the CG on The Lizard was very good.